THE Warwick City Brass Band is one of the oldest in the state but that historic claim is under threat. Membership in the band has dropped from a top of 25 musicians in 2007 to fewer than eight today. In a bid to reverse the decline, the band opened its membership to woodwind instruments. "We've been struggling for members for probably 3-4 years now,” band leader Brendan Babington said. 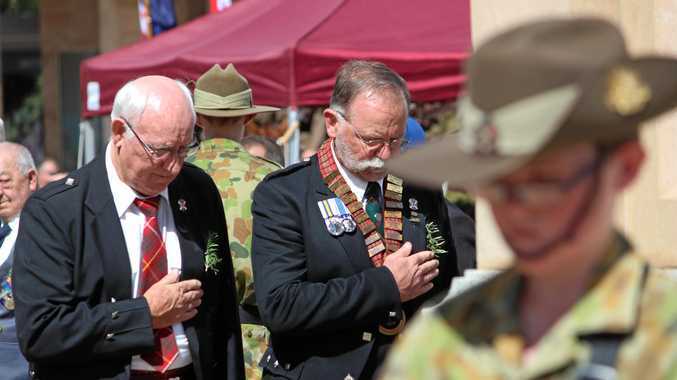 In the past few years the band has drawn members from neighbouring bands in Stanthorpe and Toowoomba to beef up its numbers but that is not sustainable. 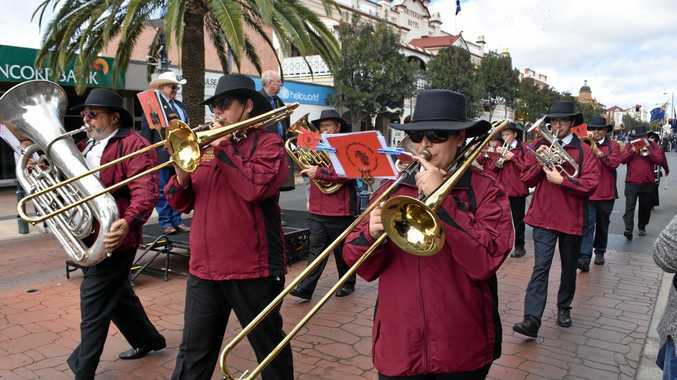 The ring-ins are not always available, and this means there are fewer opportunities for the Warwick City Brass Band to maintain its public profile. That, in turn, makes it harder to get new members and so the cycle continues. If the stellar attendance at the recent Jumpers and Jazz festival are anything to go by, then Warwick is clearly a town in love with the sound of brass. But this is part of dilemma. There could be too many options for up and coming musicians. "The school programs have plenty of outlets for young musicians to play, that's one of the biggest things we come up against,” Mr Babington said. But the town band still has plenty of resources on offer. It has a cut-price loan scheme where members can hire an instrument for $20-30 each year. Rehearsals run from 7-8.30pm each Monday so the time commitment is minimal. There are free lessons and most of the uniform is supplied. The only piece a new member has to buy is a pair of black pants. The Warwick City Brass Band is holding an open rehearsal on September 3 at 6pm in its Albert St band hall to entice new members. Mr Babington said everyone was welcome to attend. "You just have to be someone who is interested in music and keen enough to learn,” he said. For more information phone 0437 691 730.